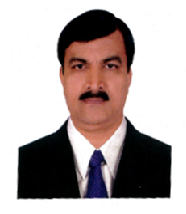 Dr. U. P. Chandrashekhar has completed B.Sc, B.Ed., M.Ed from Mysore University, M.A. Sociology from Karnataka University Dharward, L.L.B. from Vidyodaya Law College, Tumkur and SJR College of Law, Bangalore. He obtained Ph.D. from Mysore University through Institute for Social and Economic Change. He was awared as Best Rock Climbing Cadet, Best Mountaineering Cadet, Best District Officer, Outstanding Service and Excellent Work, Best Private Secretary Citation, Bharath Jyothi, Glory of India Gold Medal & Best performance award. He has rich teaching and research experience and over 30 years in Academic & Administrative related sectors. He served as Deputy Director Secretary (Admn), Karnataka State Backward Classes Commission, Bangalore, Deputy Director, Devaraj Urs Research Institute, Bangalore, Officer on Special Duty to Hon’ble Minister of Social Welfare, Govt. of Karnataka, Deputy Director for Backward Classes and Joint Director of Backward Classes. He has few publications to his credit and is a member of various professional bodies.